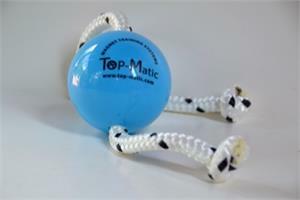 Magnetic Ball - 2.5 inch diameter ball with 10 inch rope string. Orange ball is firmer than blue ball. Both are designed to flex in dogs grip. 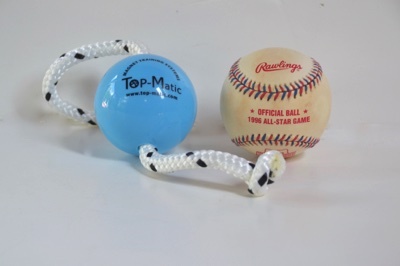 Please be advised that the balls are designed for training purposes only and are not chew toys. They do not float and should not be left unattended with you dog. Misuse will not be refunded.